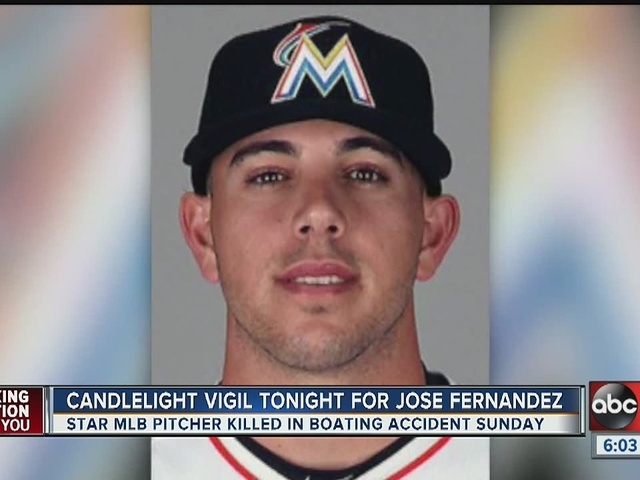 Friends, family and former teammates gathered on Wednesday night at the Alonso High School baseball field to remember Florida Marlins pitcher Jose Fernandez. During the candlelight vigil, Fernandez's original Alonso High School baseball jersey went missing. It had been hanging in the dugout during the ceremony. The baseball coach and school leaders were cleaning up after the vigil when they noticed that the jersey was gone. A police report has been filed with the Hillsborough County Sheriff's Office. There is no surveillance video. Coach Landy Faedo is pleading for whoever took the jersey, to please return it as soon as possible. At this time, there is no possible suspect or description of a suspect. Anyone with information as to who stole the jersey is asked to contact the Hillsborough County Sheriff's Office. Fernandez died Sunday, Sept. 25, 2016 when a boat he was in crashed into a jetty near Miami Beach, Florida.